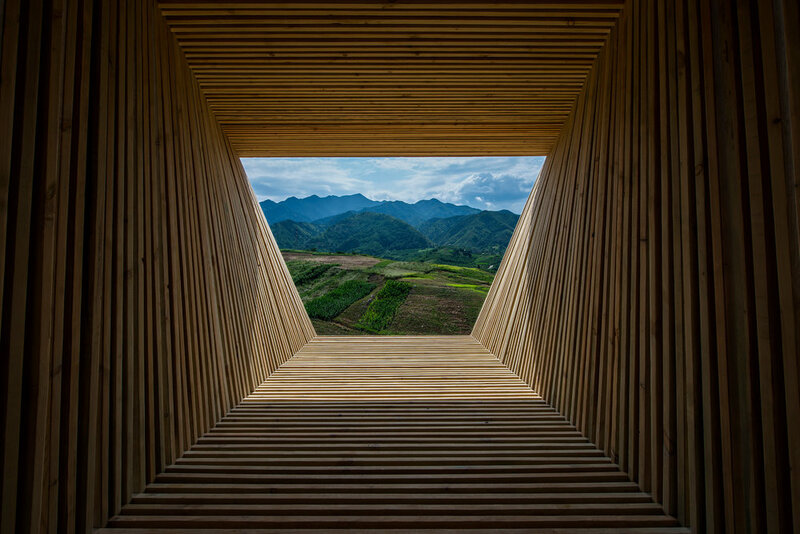 The Napavilion is an intimate yet expansive geometric pavilion designed as an optical device for viewing the rural Lantian landscape. It serves as a small group event space for wine investors and local farmers in the vineyard surrounding a winery. The design of the ruled surfaces of the symmetrical walls, constructed of dimensional lumber, change in angle, density, and pattern, allowing for varied daylight conditions, visual screening, wind baffling, and degrees of enclosure for standing, sitting, or napping. The stepped roof is covered, yet the level floor joists above the ground remain open to below, allowing cool breezes to flow inside and grasses to grow below. 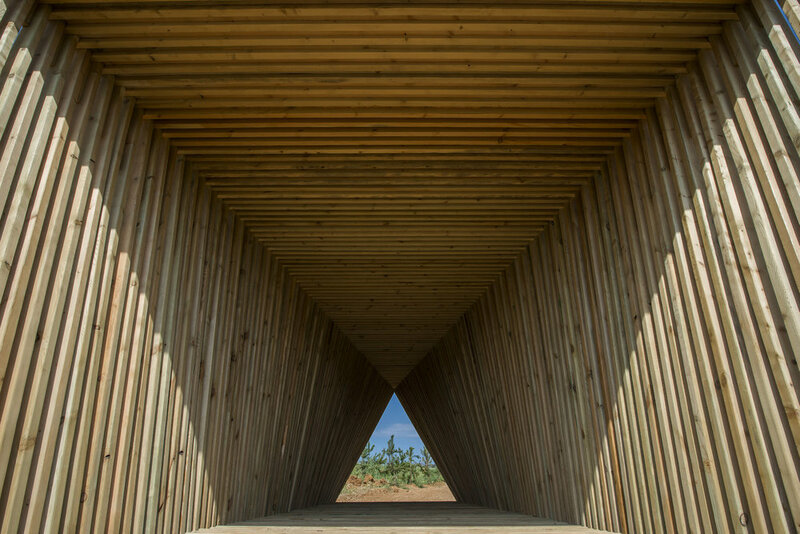 Supported by concrete columns recalling the slender concrete trellis posts in the vineyard, the pavilion's wooden structure appears to float in the landscape. 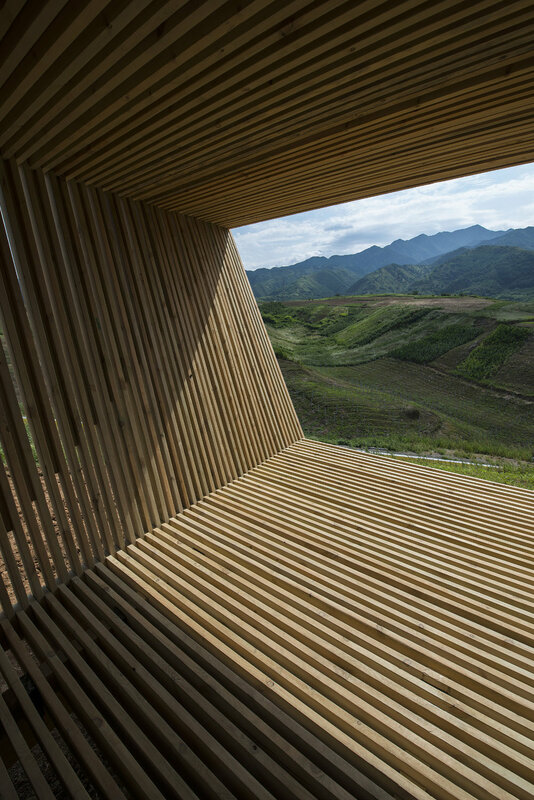 Formally, the pavilion’s scale, orientation, proximity to the hillside, and degrees of visual transparency both register and intensify the bucolic site conditions.